Studying abroad can be one of the most beneficial experiences any student can have. San Diego foreign exchange student programs allow you to immerse into a new culture, broaden your worldview and enhance your future prospects. When you finish your study abroad program you will return with a new perspective, language skills, a well-rounded education and a proven ability to adapt and learn. All of these traits will appeal to employers when you take the first steps of your career. You will make lifelong friends as you submerge into new experiences and activities. There is nothing quite like studying in a foreign country to push your personal growth and independence. San Diego is the perfect destination for you to experience a world-class education in a thriving American city. In this article we are going to explain why it is a life-changing foreign exchange student destination. Why Study in San Diego? American universities are widely recognized as some of the best education institutions in the world, in fact 5 of the top 10 global universities are located in the USA. There are also more international students in the US that any other country, with around 30% of all foreign exchange students choosing to study in America. There are a wide range of disciplines for you to choose from delivering innovative courses, as you learn from industry leading professors in some of the world’s best facilities. San Diego institutions place a real emphasis on diversity, classes contain students from all backgrounds, ages and countries. You will receive a stimulating experience in a rich environment which encourages cross cultural learning. Combined with a variety of clubs and organizations for visiting students to jump into, you will benefit from getting involved with an active social life on campus. The overall international study experience enhances your personal growth by exposing you to diversity, new activities and greater independence. It enhances your professional growth through world-class institutions, cutting edge technology and innovative research opportunities. What are the Different Student Exchange Programs? With so many different foreign exchange student program possibilities, finding the perfect one can seem intimidating and confusing to begin with. Some of the key factors in your decision will be visa requirements, desired length of study and level of study. At AmeriStudent, we understand that this can seem like an overwhelming amount of information to research, so we’ve created the Ultimate Foreign Exchange Student Program Guide to give you everything you need to know, in one place. One of the most important things you want to have sorted is where you’ll be living. You want to fully maximize your experience while studying and living in San Diego, finding the right host family for you is important. When choosing your host family, go through a reputable homestay provider to ensure you have a truly enriching international experience. Here at AmeriStudent we know that you need to have a comfortable living situation for you to thrive in your new surroundings. Our homestay service allows international families to select from a variety of homestays in Southern California, helping students find homestays that best suit their needs. We thoroughly vet host families and provide several training and orientation sessions providing the knowledge and resources to prepare families to host you. We also stay in constant communication with all our families throughout the student’s stay, and provide real-time 24/7 assistance. San Diego has been given the tag of ‘America’s Finest City’. This is due to it’s superb weather, natural beauty, safety and many attractions. It has built a reputation for its excellent business, education and research environment. San Diego offers everything you could imagine for an enriching and unforgettable student experience, let’s take a look at four reasons you don’t want to miss out on studying in San Diego. There are over 31 colleges within 50 miles of San Diego, covering everything from arts to scientific research. The diverse range of high-quality establishments ensures you will find the right course and institution for you. San Diego is home to the University of California, ranked as one of the world's top 15 research universities. Unique in it’s setup the University of California adopts a small college style system like those in Oxford and Cambridge. Each of the six colleges have their own student residence halls and student services. The main campus is situated on 1,200 acres of natural woodlands, overlooking the Pacific ocean and houses world-class research establishments such as the Scripps Institution of Oceanography. 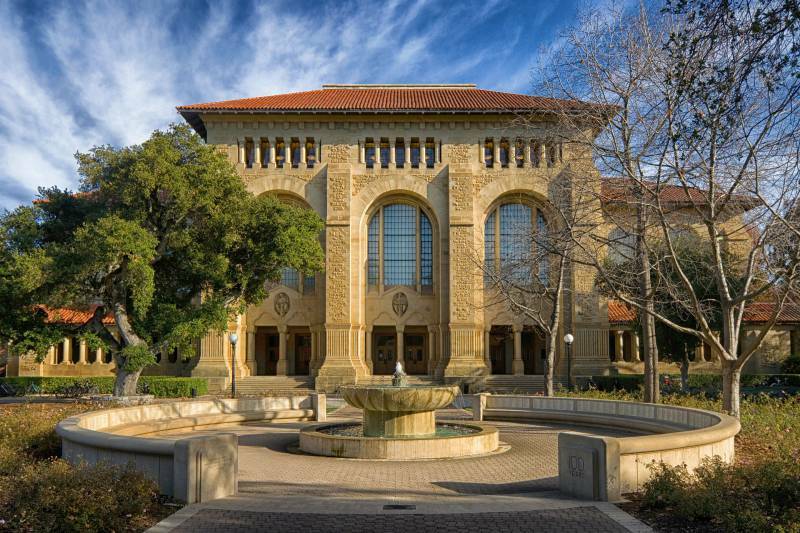 With over $1 billion per year budget and 16 Nobel Prize Laureates from the faculty, the University of California is one of the best colleges in the world for research based degrees. San Diego State University is the oldest education institution in San Diego, established in 1897. It is famous for its excellent athletic programs, which covers 19 individual and team sports, including the NCAA Division 1 football team the Aztecs. It is a nationally recognized leader in campus diversity and it’s one of the top colleges in California for students seeking global learning opportunities with almost 400 international exchange programs. California State University San Marcos is situated in northern San Diego and boasts a technology-rich environment led by industry leading professors. There is an emphasis on teaching a curriculum with a global perspective throughout all the academic fields, with a commitment to community engagement. Their award winning volunteer program offers a range of extracurricular activities for visiting students to help immerse themselves into the local community. As the largest economic driver for north San Diego large businesses are actively engaged with the university, offering plenty of opportunities for students to get involved with and advance their future career prospects. With many highly recognized institutions to choose from in San Diego, you will find the perfect establishment for your studies. For questions about schools and courses get in touch with us today, we’re here to provide information to help you narrow down your choices. Founded in 1769, San Diego is the oldest town in California, the enchanting architecture, abundance of sunshine and unbridled natural beauty make it one of the most diverse and popular cities in America. It is enriched with museums, parks, beaches and world-famous attractions, there is no shortage of amazing things to explore. Balboa Park covers 1,400 acres with historical buildings, numerous museums and plenty of green space. Created in 1915 the prominent Spanish style architecture blends in with the stunning natural surroundings. Home to botanical gardens and the world-famous San Diego Zoo Balboa Park is a haven for nature and history lovers. The historic architecture spreads throughout downtown San Diego, where you will find the famous Gaslamp National Historic District. A piece of history which has been built into a high-end district with over 200 shops and restaurants, which attracts people from all over the world. Take a stroll across the beautiful waterfront and make your way to San Diego’s Seaport Village. Adorned with unique shops and restaurants, it is a ‘must-see’. Picnic benches and patios make this the perfect spot to enjoy an afternoon of eclectic shows by regular outdoor performers. Enjoy a trip to the Cabrillo National Monument and explore the outdoors. Choose to spend an afternoon spotting the Pacific Gray whales (in the winter months) or take the majestic two-mile Bayside Trail hike which overlooks the entire bay and city. There truly is no shortage of activities, San Diego is a city that will leave you awestruck with unforgettable lifetime memories. San Diego experiences around 300 days a year of pristine weather. With barely any rainy days for you to worry about this has given it a laid back vibe and plenty of outdoor activities for you to enjoy. There are over 70 miles of glorious coastline resulting in some of the most picturesque beaches for you to enjoy. 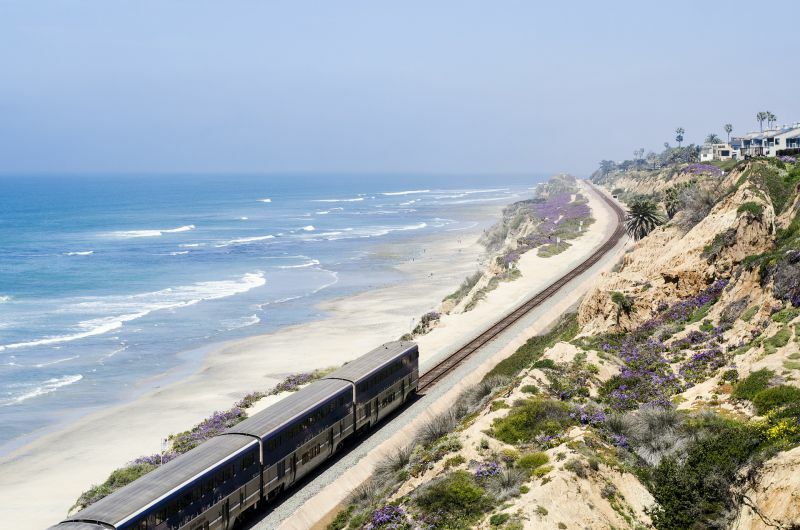 Whether you are an avid surfer or just starting out, San Diego has the perfect beaches for you. 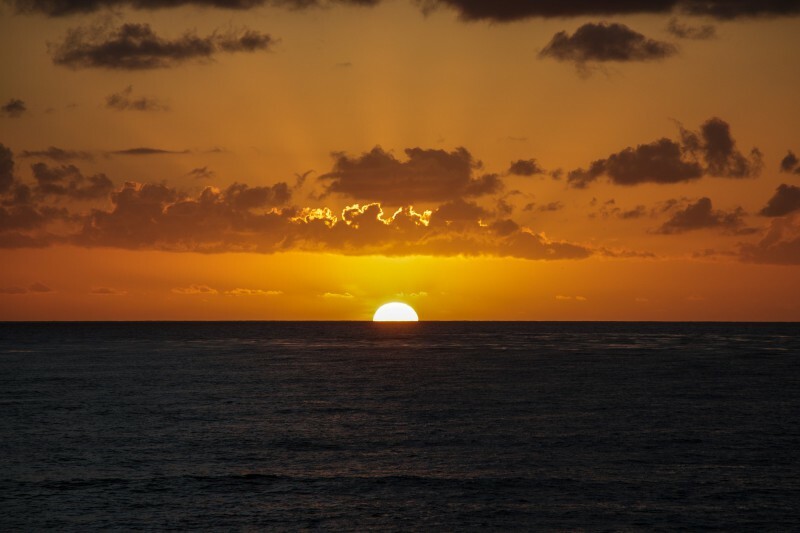 If surfing isn’t your thing why not explore the ocean with some scuba diving or snorkeling at La Jolla Shores, with its soft sandy bottoms and stunning marine life it is one of the most beautiful beaches along the coast. Relax in the evening around a bonfire with friends and enjoy sunsets which will leave you mind-blown. The expansive San Diego coastline has countless beaches for you to relax on and immerse into the colors, sights and atmosphere of Southern California. California is home to one of the most diverse and unique communities in the United States, nearly 45% of residents speak a language other than English in their homes. International integration is as much a natural part of Californian life as the beautiful weather. Diverse communities, shops, restaurants and traditions from around the world constantly add to the unique culture. The influx of cultures has brought some of the most vibrant neighborhoods to San Diego, with art galleries and foods from around the world. Barrio Logan is home to multiple art galleries including the largest Chicano murals in the world. Being close to the Mexican border San Diego has brought a large Hispanic flavor to the city. Mixing authentic Mexican food, events, celebrations and cultures there is always something unique to see and do in across the city. ‘America's Finest City’ is a haven of culture, activities and sun. Steeped in history throughout the city with one of the most laid back atmospheres in the United States. San Diego is an idyllic location and the perfect foreign exchange city. Immersing into one of the most highly recognized education systems in the world, you will develop a wider reaching understanding of global education, giving you a competitive edge when entering international careers. You will benefit from the community aspect with exposure to new cultures and sharing a deeper connection with people from everywhere. This is what makes San Diego the ideal location for you to undertake a foreign exchange program. Not only will you experience the warmth and beauty of San Diego’s culture, you may just pick up some experiences from any corner of the world. Here at Ameristudent we are passionate about immersing you into the Southern Californian culture and having the most fulfilling international experience. Whether you require more assistance with homestays, visas or school selection our services provide support for every step of your study abroad journey. For more information about studying abroad, living in San Diego or any of our foreign exchange student programs contact us and we’ll be happy to guide you through.